We are an adventure based school in Ecuador that makes nature our classroom, designing practical and pedagogical curriculum for our students to gain valuable experiences applicable to their daily lives. Our purpose is for our students to nourish their connection with and understanding of the natural world and through these experiences to build a healthier and more connected relationship with our planet. 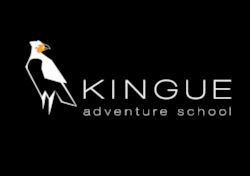 At Kingue we create learning processes through adventure, nature and the sustainability of natural systems. Kingue strives to be the leader in outdoor experiential education by setting the standards for sustainable processes and being inclusive with the community around us. Our activities will have a positive impact at a social, environmental and personal level. Kingue seeks to promote the change we want to see in the world by showing that alternative and efficient systems can become a reality. We are committed to the “Leave Good Trace” principle by breaking the status quo, striving for excellence in environmental stewardship and life in the outdoors through processes that have a positive impact on the environment.